Love this stuff!! I no longer use my allergy medicine or asthma inhaler! This stuff really works! I love taking something natural and not depending on medicine anymore! Try it!! It works. I have seasonal allergies and allergic asthma. If I take this supplement 2 or 3 times a day, my nose doesn't run like a faucet, I breathe better, and I have more energy. This is a good alternative to antihistamines. I started taking Quercertin with Bromelain for 14 months now after having one of the worse years of my life in terms of sickness. I have been a life-long allergy and asthma sufferer and have tried every possible medication available. I began allergy shots approximately 6 years ago and they have helped quite a bit. However, it seemed that after reaching the maintenance level, my body would develop new allergens and my symptoms would start to flare-up all over again. In 2010, after three sinus infections, numerous colds, ear infection that caused eustachian tube disorder and the production of never-ending-mucus, I was desperate. I began to look for herbal alternatives to my Alavert, Nasonex, Xyzal, Albuterol etc. This is when I read some reviews on this and I decided to try it. I can honestly say that it seemed it took over 3 months for me to see results. There were subtle at first... such as the production of less mucus in the morning or a decrease in the sneezing when faced with common allergens. I continued to use it and was disappointed when I got sick in the fourth month, as this is supposed to help with the immune system. My "sickness" only lasted 24 hours and that was last February. During the rest of the year, I was DRY, healthy and can count with one hand the number of sneezes for that year. I have not used ANY of my prescription medicines in over 7 months. My husband who has always being weary of herbal alternatives is ready to start taking it because he has seen the incredible change, especially at night when I don't make any noises anymore. I have been without Quercertin for over 3 weeks now as it seems it was out of stock when I ordered it in December. I was able to re-order and I'm expecting it this week. The reason I'm writing this is that yesterday I began to feel sick with a runny nose and sneezing...not a cold but an allergy flare-up. Now I know that if I had been taking this stuff, this would not have happened. I am sold on Quercertin and I wanted to share but it has really changed my life. I continue my allergy shots and the Quercertin and that is all I take. I'm the healthy one in the family now!! 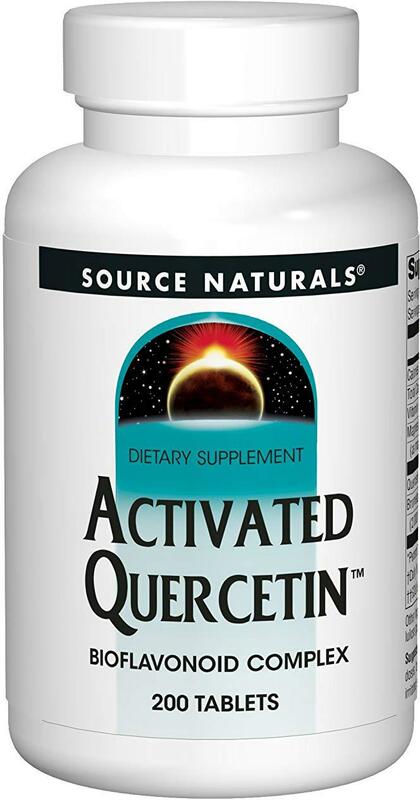 I bought this product because I heard that taking quercetin can improve asthma symptoms. After using it for several weeks (2 tablets in my morning smoothie every day), my asthma did in fact improve. Then recently, when I went out-of-town for a week and forgot to bring my supplements, I got sick and my asthma got worse again. I will definitely be taking this product regularly in the future! the reviews are mainly for asthmas, but for IC is it good to??? Helps keep my asthma under control. I love and need this product! It has reduced my need for my inhaler. Just two or three days without it and my bronchospasm comes back. I've had allergies, sinus headaches and asthma my entire life. My dog has had allergies, coughs and reverse sneezes a lot. So my holistic vet recommended quercetin for her. And, although it hasn't cured her completely, she doesn't cough or reverse sneeze much anymore, or chew on her feet as much. I really think these help ease some of my asthma symptoms and since I have been using them I do notice that my regular asthma meds seem to control my wheezing without using my "rescue" inhaler at all. I have had no side effects from them, so i will continue to use them. Cured my asthma! (seriously) I used to take advair twice a day. My doctor slowly back off my dosage until completely pulling me off of it. Now I only get asthma when I am very sick. I still take 2 a day. When I stop, the asthma slowly comes back. I take 2 first thing in the morning and it helps with my allergies and asthma. I don't need to use my inhalers anymore. My daughter has severe allergies and asthma and has been taking a daily children's allergy medication since she was two. She also takes allergy eye drops. Her eyes will produce so much mucus that they will crust over during the night. Half the time even when I give her the eye drops, her eyes still crust over and need a warm washcloth in the morning. I read about quercetin and thought I would add it to her daily routine. I can say this has helped tremendously! I no longer have to give her the eye drops but she is still on the daily allergy medication. I break open the capsule and mix it with applesauce. She tells me it tastes great! I'm not sure if quercetin alone will completely eliminate allergies but it has made them much more manageable. 5.0 - This helps my asthma and allergies a lot. This stuff is a vital part of my daily pill menu. It helps control my allergies, asthma, and chronic sinusitis. 5.0 - Cured my asthma symptoms! Amazing supplement! I have sport induced asthma and taking this daily alleviates all symptoms. A friend recommended the product or I would have never believed it's potential. Also boosts the immune system! Simply amazing! If you have asthma this is great as the bromelain helps "eat" mucus buildup in the lungs and the quercetin is a far better antihistamine than the over-the-counter stuff like Claritin or Zyrtec and does not make you sleepy. Quercetin is also a fabulous antioxidant. I suffer from "seasonal" allergies that seem to last the whole year long that exacerbate my asthma. That is the main reason I take Quercetin. However, this bioflavonoid has many additional applications like heart disease, diabetes, gout and CFS. It has natural anti-inflammatory properties that make it an effective supplement for many who suffer with these conditions of chronic inflammation. Now Foods Quercetin with Bromelain adds in the bromelain (an enzyme found in pineapple) to add to the anti-inflammatory effects. These are invaluable when asthma kicks up and my inhaler is not getting the job done. I take 4 at a time and lungs open up for about 6 hours. They work like a great allergy pill except they are a natural solution. Always have a large bottle on hand. It is what it says it is , Quercetin. I have been taking it for 3 yrs now and have noticed a great improvement on my asthma symptoms. As a martial artist I would always (80%) get sick after a belt test or long workout due to my low imune system. I have been on Advair for 5 yrs that has a track record of kicking your imune system in the gut. Quercetin has done a bang up job of keeping it in check. My ear nose and throat doctor recommended that I try these for my allergies. He said that I can take them along with my regular allergy medication and should just boost the results. Well, it worked splendidly. My doctor says that the results were as he'd planned and my asthmas inhaler is rarely used. I had asthma bad at one time being hospitalized at least 3 to 4 times a year. All the meds they prescribed helped in the short term, but had many bad side effects. I use to feel like it was worth the risk when the alternative certainly meant a hospital visit and sometimes for days. My 8-year old son has severe asthma and has been hospitalized for it. 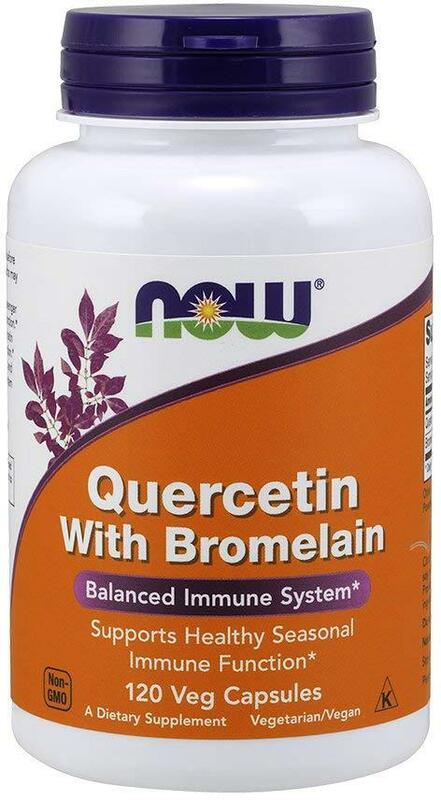 The NOW Quercetin with Bromelain has been a great help. He has depended less and less on his prescription medicines and he is doing better in school. When I ran out of the NOW product, I tried another quercetin without an enzyme. His severe asthma returned. The bromelain (digestive enzyme) obviously helps, or else the NOW product is a higher quality. Either way, I'm sticking with the NOW product. 5.0 - great for congestion and digestion! I have asthma, allergies, eczema, take albuterol, singulair, alive and zyrtec each day to be comfortable in the climate here in oklahoma and get sinus infections frequently so I did a lot of reading and have tried a lot of things over the years and 2 weeks in i am loving this product. I picked it up at my local sunflower market. Give it a try if you have any of the above problems or digestion problems. 5.0 - Quercetin - My only prescription for asthma and allergies! I am a lifelong asthma & allergy sufferer and have never known what it was like to be able to take a deep full breath until this year. I battled constant wheeziness, breathlessness and seasonal allergies, even on meds. I have been symptom free since the first week I started taking it in June 2010. I take it in combo with bromelain, which aid in it's digestion. I've completely gone off asthma meds which I had been taking for many years. The meds were making me feel 80 when I'm not even 40. :-( I feel like a new person and I cannot say enough about this supplement. I have also been replacing dairy milk with almond milk since June and have more recently (2 weeks ago) stopped eating meat. I believe the diet changes partnered with the supplement is changing my life for the better. I have read that flax seed and tumeric are also very beneficial for asthmatics so I take those sometimes too. Good luck and don't stop until you find the right combination for you. I would have never believed I could reverse my asthma before, but I always prayed it would happen. I highly recommend the books, movie and other supplement I have linked with this review as they have helped lead me to this healing. I bought this for Asthma/Allergy relief, and while it definitely gets rid of allergies, it had little effect on my Asthma, I have to assume my Asthma must be caused by something else. Works great for allergies. 5.0 - Let's me breath and keeps me at ease.. I didn't know i had mild asthma until i started taking this... i was gonna keep it for a friend of mine when he comes back from boston but i decided to use it myself and am very glad i did... it is an immune booster so not only do you get to BREATH much easier but it boosts your immune system too! If you also feel stressed out at all you should def try Now's 'true calm' it works amazingly. I even take one before sleep and lets me sleep and wake up with much less stress. I took these for asthma and I did notice an improvement, but it wasn't a "wow" improvement. In fact, it took almost a month to notice any difference. I did notice that when I caught a cold, the cold was much shorter in duration then normal. And in one case when I thought I was getting sick, I slept it off instead. We purchased this product to help our kid's asthma. We noticed a big difference in our daughter, but not in our son after using this product. I will continue to use it as it is a beneficial supplement for their immune system. The pills are not too large and they go down easy. We break one open for our daughter and put some in her yogurt. There is no flavor to it, so it works out well! I have a Mast Cell Activation Disorder so I started taking this as mast cell stabilizer. It works very well - it minimally helps my brain, skin, asthma symptoms and overall reactivity. I had to stop taking this when I became pregnant since there are no studies on this in pregnant women but will definitely start taking it again post delivery. I took two three times a day with my meal since quercetin needs fat to be absorbed and pills and my empty stomach do not get along. 1.0 - BEWARE the dosing! It causes Vertigo! The directions on the side of the bottle say to take 2 capsules, 2-3 times per day. I did this and after taking it this way for a few days (possibly a week, I can't remember) I had a really horrible adverse effect. Be VERY VERY careful when taking this supplement. 2 capsules at 800 mgs, 2-3 times per day is a total of up to 2400 mgs. This is WAY too high of a dose for one day. I had no idea until after taking it one day, I woke up in the middle of the night having severe vertigo. I went back to bed and thought it would go away by the time I woke up. NOPE. It lasted 2 full days for me, with the first day being the most severe. I will NEVER take this product again. Maybe in small doses it's okay, but am I willing to take that chance again? Heck no. It was horrible. Take my word for it. If you look up dosing for this- WebMD or other sites, the recommended dose is 500 mg twice a day. How they got to 800 in one dose is beyond me. I am pretty surprised to see so many rave reviews of this supplement. Be careful when taking this!!! (or just don't!) It did not help my allergies or asthma which is why I was taking it to begin with. All I got was two days of having to lay in bed feeling sick to my stomach from vertigo. I am on day 3 now and I am still feeling the effects of vertigo- just less now. I hope I didn't damage my kidneys. This doesn't seem to be very effective. I have used Quercetin w/ Bromelain many times for allergies and asthma, and different brands work better than this one in my opinion. I suggest Doctor Ron Ultra Pure for the good stuff. Cannot do without this!!!!!!!!!!!! This keeps my asthma at bay, and I can tell the difference when I've gone more than a day or two without it. I love running outside, and this keeps the inflammation at bay. I've had not problems with my lungs even when I've eaten horribly over a few days. This has literally changed my thoughts about winter!! 5.0 - Finally a cure for asthma! I have been an avid Amazon Shopper for several years now and have never once written a review. SO what is causing me to write one today? Because I have found the cure for my asthma using this product. I have suffered with allergy induced asthma and upper respiratory induced asthma for 15 years I have had five bouts of pneumonia and several bouts of bronchitis. As you can imagine my lungs are trashed. I've used 12-hour inhalers and 24-hour inhalers and rescue inhalers. I've used nose sprays and I've done everything I possibly can including eating a super healthy diet filled and vitamjn supplements to try to combat this disease. I love that this product is made in America and has no synthetic ingreditents. Boswellia is good for inflammation, osteoarthritis, rheumatoid arthritis, joint pain (rheumatism), bursitis, and tendonitis. Other uses include ulcerative colitis, abdominal pain, asthma, hay fever, sore throat, and cancer. The product arrived on the date I expected in excellent condition! Boswellia has been used for many years in Ayurvedic medicine. I would much rather use a natural product than a prescription medication! If you have any of the above conditions then you have absolutely nothing to lose by trying it. There is a money back guarantee and the company stands behind the product. It's a fabulous deal! Found this all natural, food based Boswellia for much less than I found at my local health food store. 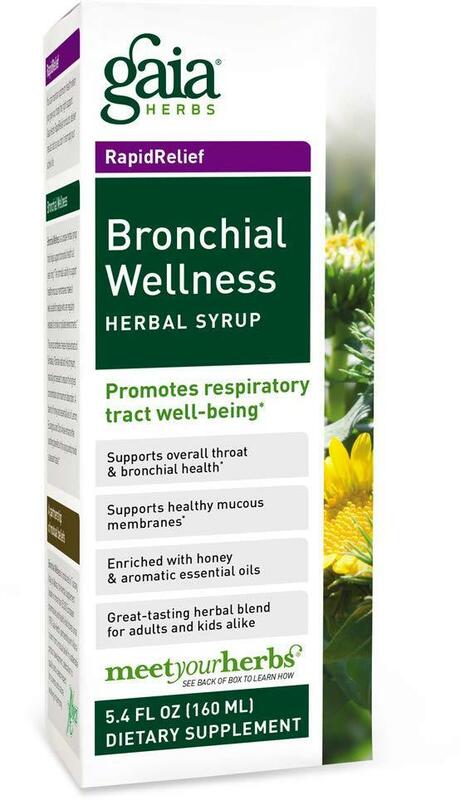 It was suggested by my doctor to take Boswell for my asthma so I will be able to report as to the effectiveness of the product after some time. Always look for supplements based on food instead of chemicals. I was living on Aleve. Not good. Did some research on Boswellia Extract and found that it works to control something called 5-lipoxygenase (5-LOX). While NSAIDS will do the same thing, they also contribute to toxicity, to say nothing of bleeding. They do this by inhibiting the Cyclooxygenase-2 (COX-2) enzyme. However, they also inhibit the expression of COX-1, which is needed to protect the stomach lining, and GALT - Gut Associated Lymphoid Tissue. Both enzymes are secondary to the deleterious effects, however, of 5-lipoxygenase . Enter Boswellia Extract, which controls not only 5-LOX, but other pro-inflammatory enzymes as well, such as tumor necrosis factor-alpha (TNF-a). TNF-a is actually beneficial. However, an over expression of this pro-inflammatory cytokine is not. Boswellia Extract is selective. Through negative feedback mechanisms, TNF-a is held in check. While I'm happy this supplements reduces my dependence on NSAIDS, I was equally as pleased to discover that it is being investigated for atherosclerosis, cancer, asthma, and arthritis. This particular brand has MANY five-star ratings, and for good reason - it works. I really like this product. Boswellia is good for inflammation and this product has helped greatly with that. In my case, specifically asthma and joint issues. I noticed that the very day after I first took it, my asthma was a lot better. Also, no stomach issues with this product, as I have read that boswellia can cause gastric upset. Definitely will purchase again. Oh, and, their customer support seems great! I researched a lot about Frankincense and wanted a product that I could take internally, that was processed correctly and had the correct amount of Boswellic Acids of Frankincense included that was Pure and Potent. This product was the only one that I felt had all the ingredients that I was looking for. My husband and I both take this daily and right away we felt a difference in our sore feet. This product being an antiflammatory helps a great deal with joint discomfort and flexibility. I have asthma and COPD and inflammation is our enemy. You keep inflammation down, your pain is often reduced to nothing. I didn't have any side effects at all and neither did my husband. Fast Delivery too and I would Highly Recommend this product to any one who has some lung issues...research Frankincense and learn of its many benefits. This product is simply amazing! I initially heard about it from a friend who attended a medical instruction class pertaining mainly to kidney disease. Now, I have no idea if Boswellia helps with that issue but she ordered some for her husband who has severe scoliosis and he saw results almost immediately - pain almost gone! I decided to try it for myself and my hubby who have issues with joint pain and cholesterol. I will find out in a few days if it has helped with cholesterol but as for the joint pain, both of us have experienced dramatic results in lessening of our pain. 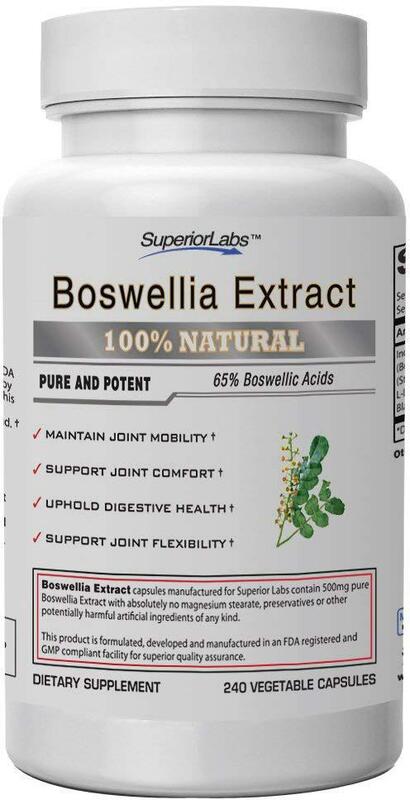 My hubby has discussed Boswellia with two of his doctors and his physical therapist and they all have given a resounding thumbs up as to this being a great remedy. The only caution was to order it from a reputable company and Superior labs is that. BTW, I also suffer from asthma and this product is effective in that area too. Strongly recommended! First time ordering this product. Really helped my Asthma. http://www.ncbi.nlm.nih.gov/pubmed/21553931 Boswellia has been evaluated by researchers affiliated with the National Institutes of Health (NIH.gov) and found to be effective for various inflammatory conditions, including asthma, which is why I tried it. I had a very bad case of bronchitis in Nov/Dec 2014 that was treated with antibiotics, steroids, inhalers, etc. When it finally ended, one doctor thought I might have asthma and another thought it could be COPD. I don't smoke and am in otherwise good health for a 72 year old. I started researching and discovered that Boswellia was helpful for asthma. I've been taking it for a few weeks and have had none of the asthma symptoms that began in January this year. (chest tightness, coughing, etc.). Asthma, after all, is inflammation of the lungs. For me, Boswellia works and I don't need the prescribed Singulair or the $300 Advair inhaler, both of which have terrible side effects. Really helps. I have asthma and COPD. Have found if I take this twice a day I really breathe easier. I have started having severe side effects with steroids which seems to be the only treatment doctors can think of! I'm happy to take this based on the mushroom benefits alone, but it didn't help my asthma as much as I would have hoped. I'm using H202 35 percent right now and it' is eradicating my asthma. I haven't used my inhaler in three days now (9 days in)..unheard of for me. 5.0 - I can breathe!! About 4 years ago, for no particular reason, I developed terrible asthma. During the last 4 years I have been under the care of Allergists, Internist, and Pulmonologist and have been hospitalized twice, once for 7 days and once for 3 days. Recently I stumbled upon an article in a health magazine about Reishi mushrooms that said it was good for respiratory health. I have tried every pharmaceutical med, supplement, herbs, you name it, so I figured I might as well try Reishi. 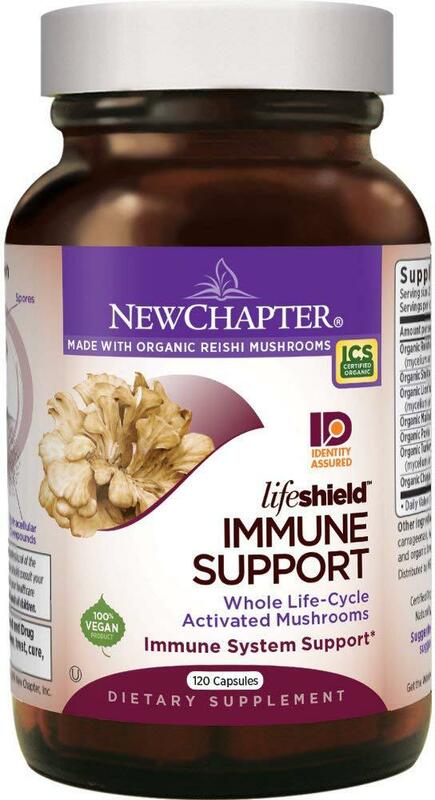 The healthfood store recommended New Chapter, which is a blend of mushrooms and not just Reishi. I took my first capsule in the parking lot. Within 30 minutes I felt great. It has been exactly 2 weeks today, and I can truthfully say that I now breathe better than I have in years! Perhaps it is the pre-Spring low-humidity weather, or perhaps it is something else, but I plan to "eat my mushrooms" instead of inhaling the toxic meds my Pulmonologist and Internal Medicine doctors have given me. Right now I do not even need the meds for the first time in years! This product works better than the asthma meds. I went from coughing 400 times a day to 20. I can breathe much better. Life shield Breath - does not make any difference in breathing. I have asthma and have no improvement. It may help when I triple the dose. Great product, overpriced by about double, but needed it to combat sinus/bronchial/asthma issues I was having. While I would recommend the product, the price for this bottle was double. The price should be around $20-25 per bottle. Hopefully they wont keep ripping people off. I love this product. It has helped me cut down on the number of colds I've had. It is perfect for people with asthma or sinus problems. I think it is a must have in preventative medicine for anyone who suffers with constant colds, asthma or sinus. 5.0 - Wonderul line of Products! I would suggest anyone with liver issues get the book The Amazing Liver and Gallbladder Flush by Andreas Moritz. There are over 300 Amazon reviews of the book from people with liver issues, etc. I have done about 5 flushes now resolving NEARLY all my gallbladder and fatty liver issues - still working on it but managed to save my gallbladder through alternative medicine & practices. I stumbled upon this mushroom product accidentally after purchasing New Chapter Cordyceps for my husbands chronic asthma. I had also heard about mushroom power through David Wolf but could never afford to purchase the products. These products are very affordable and I will continue to take these products! I may even take the Cordyceps too! 5.0 - Unstoppable at the gym! I was going through a rough patch at work and hoped this would give me the energy and focus to get through it. Work improved more quickly than I expected, so I don't know if this really helped, but in the meantime, I have become unstoppable at the gym! I can work out longer and at greater intensity before I start suffering asthma symptoms. For that reason alone, I'll continue taking cordyceps. I've noticed a big improvement in my breathing, as I have adult asthma. I will continue to use it for that alone. But the other benefits are sure to come, I'm sure. 5.0 - Works! Get this for your medicinal arsenal. Glad to have found this supplement just started taking it and quickly noticed increased libido, energy , and as an asthmatic I find comfort having this highly effective gift of Mother Nature in my arsenal, as I easily expelled chest mucus and had no idea I was conjested at the time! I purchased this for a friend who suffers with asthma. She told me she is able to breathe better that she has in years. This mushroom is a Godsent. It tastes good and mixes well with water. We feel a bit more energy when taking it and also seems to help with lung capacity / oxygen uptake for a member of the household that suffers from asthma. If I could take only one supplement for the rest of my life, this would be it. I have had asthma for twenty years that is often aggravated during seasonal transitions and exercise, and in my case cordyceps have nearly eliminated all symptoms. There has been a noticeable improvement in my lung capacity, clarity, and efficiency. My endurance during sports and other physically exhaustive activities has improved dramatically, and it is far less likely that I will experience asthmatic arrest while running (which before would almost always trigger it). Prior to taking cordyceps I had hardly experienced the elation of deep, fulfilling breaths during sports. For most of my life, physical exercise has been associated with asphyxiation and pain, so I often avoided these kinds of activities. This has all changed now. FINALLY! I've been to doctors countless times and the best they could do was prescribe me immune-system-weakening anti-inflammatory corticosteroids that provided temporary relief from symptoms at best. Now I take 1/2 tsp every morning, and another dose in the evening if I feel any heaviness in my chest (NO MORE INHALERS!). This is a great product, costs me hardly anything, lasts a LONG time, and provides incredible benefits. 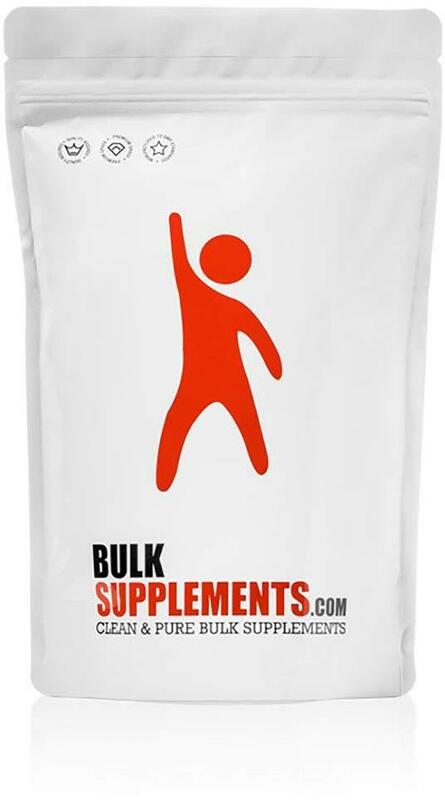 If you are new to cordyceps, Bulksupplements currently offers the most affordable high-quality product I could find on the market and is well worth a try, especially if you suffer from a similar condition as I do. I was having trouble with all the pollen in the air and was having difficulty breathing. This syrup helps with my asthma due to pollen. I take it three times a day and it does help. Most of the year my asthma is under control with meds. But during the fall/winter in Texas I always get sick with a respiratory infection thanks to the cedar. I take this when my breathing gets worse and it has saved me from an infection for the last 2 years. Highly recommend. 5.0 - Magic Potion for Asthma sufferers! I SWEAR BY THIS!!! I HAVE BEATEN MINOR BRONCHITIS WITHOUT SEEING THE DOCTOR USING THIS... which I know is silly... but as person who was in between health insurances and couldn't afford to see the doctor... this was a magic potion!! I suffer from asthma and it doesn't take much for me to fall into a respiratory infection... and I have battled bronchitis for over 10 years. I use this every time I get a head cold, it helps stay ahead of it from finding its way into my lungs that would cause a respiratory infection and it works every time! I have seasonal allergies that trigger asthma and I have been using this for a few years. When used during the allergy season, I feel that I don't have to use my rescue inhaler as often. 5.0 - Great for Asthma. This works very well. Two of my children have respiratory problems and this helps open up the air passages. I really believe in this product. I am a person who typically (in Oct., Nov., or Dec) start out with a sinus infection which ends up being a nasty bronchial infection and I'm usually sick for a month after messing with the doctor for two weeks trying to convince him I need an antibiotic, which I always do. I also have asthma, which complicates any cold I ever get. I never get JUST a cold. It always turns to something heinous. This happens every year. Without. Fail. For three years in a row I have been starting this syrup in October and I have avoided cold, sinus infection, and bronchitis. I don't think there's anything mysterious about it. I simply believe that this particular blend helps to fortify the immune health of the sinuses and lungs. I confess I do not take two tsp. I take one. Plus I do the tea in the evening. Works for me. And I am a skeptic of herbals to the highest degree. I developed adult onset asthma at the ripe old age of 26.I explained my story to doctor after doctor ( random onset, change of environment , no change in ANYTHING else). I was met with a prescription for some drug, a copay and no real relief or answers . every .single.time. . I received this herbal formula as a christmas present and it had changed my life. My allergies and asthma are 90% under control and I have drastically cut down on my use of a rescue inhaler . I am not wheezing in the cold or when waking up . It also helped very well with a severe cough and cold . I love this item and use it regularly when I feel my asthma will escalate to crisis. I carry an emergency inhaler but this item helps stave off a crisis indeed. I am learning more about Oil of Oregano and so far I am very impressed. Hoping for an Asthma and Arthritis cure. 5.0 - This is a holy grail supplement for me! This stuff is amazing for helping with allergies and viruses! I will always make sure I have some of this in my medicine cabinet. I take more than recommended when I get sick but I keep it around for maintenance doses, as well. I am an asthma sufferer and this was the breakthrough I needed during one of the worst cases of congestion I have ever had in my life. I also take the liquid Oregamax and think it's amazing. I have been taking this for 3 days. But I could tell a difference as it has been easier to breathe as I have asthma. I will be purchasing this again. I really like this. It helps my sinus and asthma problems. For the first time I fell clear. I love this product. I suffered with acute bronchitis, read the reviews and ordered the pill version but ran out so decided to go with the drops which I use orally or put in empty caps. I have asthma which is terrible with the bronchitis and I definitely have seen a difference. I take 20 drops a day and now I am down to 10 drops a day. Potent product well worth the money. I purchased the 1oz bottle. I ordered this because I read a few reviews that mentioned it helps with coughs, ear infection and asthma. My mom had a persistent dry cough, and I have periodic ear infections along with severe allergies to pollen and pet dander. I started out conservatively, giving my mom and myself only 2-3 drops each under the tongue. She said that it helped some, and she was able to sleep through the night without waking up coughing; although it did not rid her of the cough completely, it did decrease the frequency. I noticed that my ears started to feel better (I also use some garlic oil drops in my ears for infections). But it didn't seem to be a miracle cure. 5.0 - Best thing on the market! this is the best thing I've ever found! they call me doctor Linda at the office and I have to laugh when people taste it for the first time but....it works! I've been using it now for almost one year and have not had a sick day yet....I have asthma, arthritis and sinus problems. I can tell when I haven't had any for a couple of days...my eyes become pastey, my sinus pain returns and my joints don't move as well. 4.0 - Unbelievably fast working! I'm usually skeptical when it comes to holistic remedies, but I'm so happy I gave oregano oil a try. I had been suffering from a severe sinus infection and cold for 2 weeks. I had finished my antibiotics and other meds and still not much improvement. I generally suffer from year round allergies and bronchial asthma which didn't help. A friend suggested oregano oil. I used 2 drops under my tongue and within 15 minutes, my congestion was 90% clear and my voice restored. However, I did have stomach upset which is why I give it 4 stars. I also tried the method of applying it to my feet which was much better. I still had slight stomach upset, but it was tolerable. I slept all night free of post nasal drip and woke up clear of congestion. It's definitely amazing for me. I take Symbicort, Albuterol, and Levocetirizine daily, but the oregano oil worked wonders in a short period of time. I will definitely keep using it. Highly recommended! For anyone still doubtful, read more on WedMD about it. 5.0 - Awesome Product, Great Price! This is really a terrific product and have used it before. If you have any yeast or fungal issues or just want to boost your immune system, it is wonderful. My husband used it daily for his asthma and once he started using it he has not had to use his inhaler at all in these last months. This vendor gives a great price compared to the local natural foods store, so very pleased that I can get the bigger size for almost the same as the smaller size at the store. Thank you! I started taking this when I could not kick a flu. My doctor said it would kick any bugs and it did. Within 24 hours I felt like myself again. Whenever I feel under the weather I take it, and so far it has saved me from getting anything that is going around. I also suffer from asthma and started using it,(two drops under the tongue) whenever I felt an attack coming on. It stops my attacks, has a strong antihistamine property. I never have to take my albuteral inhaler anymore, which I never thought would happen. It literally has changed my life. I could not recommend it more. Bougth this for my daughter after reading the reviews. She had asthma as a child and continued with lots of allergies as an adult. Sinus infections were a monthly problem. This has been a blessing. Her sinus congestions have just about disappeared. She said she won't stop taking this. 1.0 - Would not buy again. I don't like this. The tablets are very large and hard -- difficult to take. Furthermore, unlike some other brand I used to take, I don't notice my asthmatic lungs opening. I used to suffer from terrible asthma. When I moved to Houston TX for 2 years the air quality was so bad that my rescue inhaler stopped working. I went to the local health food store and they recommended this product. By morning I could breathe again. After taking it for about a year I stopped using my rescue inhaler altogether. Can't say it cured me, but I can say that along with daily exercise and a vegetarian diet, quercetin helped my cure myself. I love, love, love this brand of activated quercetin. It has been almost magic for my asthma. I went camping once and forgot my inhaler. I took one of these and I was fine. Coincidence? Maybe, but I've used it for the same purpose several times since, so I think not. I purchased my first bottle of this product in 2015 and my health has not been the same since. Prior to this purchase whenever I got the slightest cold it was a slippery slope to terrible sinus infections, antibiotics, head colds, antibiotics, chest colds, antibiotics, asthma, and did I mention? - more antibiotics. After becoming afraid that I might be growing immune to antibiotics that I might really need one day in my life I began a search for a healthy alternative that could help me along. This product has exceeded all of my expectations. I have not seen my doctor for ANY cold, flu or for any asthma in the last 2 years and I HAVE had three colds and the flu during this period. Each cold lasted no more than 3 days and the flu lasted about 5 days followed by a complete recovery. This is incredible since I have been in the doctors office at least 3 times a year for about 11 years for colds, respiratory infections, the flu and ALWAYS ensuing asthma. Since buying the initial bottle of this supplement 2 years ago I am getting ready to buy my 4th bottle. I only take 2 tablets a day (on a empty stomach) during the Fall and Spring for allergies or when I feel a cold coming on, or when I know I will be around others with colds, etc. My once skeptical adult family members are ALL now believers and they too take these tablets whenever they feel a cold coming on or are around sick people. Being healthy has never felt so good. Have a Happy and Healthy New Year. I have always had allergies (to just about everything) but over the past few years they intensified to the point where I started getting allergy shots. I also have mild asthma. I started taking this Activated Quercetin about a year after I started the shots. A few months after I started this Quercetin I was able to stop taking the prescription Singulair. I can't say for sure if it was the Quercetin or the shots or maybe a combination, but I feel that it was the Quercetin that enabled me to stop the Singulair because the doctor did not tell me discontinue the Singulair - he expected me to keep taking it. Anyway, I was very happy with the results and I've been recommending it to everyone I know who has allergies. 5.0 - Amazing! Off Singulair, On Quercetin and Feeling Great! Been on Singulair daily for chronic sinusitis/allergic rhinitis for about 7 years (have a deviated septum and eustachian tube dysfunction to boot). In the past year I really wanted to get off of it, believing it had bad side effects. It definitely helped my breathing as an adjunct to daily Fluticasone, but more and more I was experiencing doom/gloom/anxiety esp. at bedtime. A trusted professional contact recently confided she'd just stopped taking hers. So I spent a weekend reading hundreds of "get off Singulair" postings. I was esp. struck by mommy chats re: Singulair's negative effect on kids. One wrote that her practitioner recommended Quercetin because it acted along the same pathways as Singulair. She tried it and was successful. These postings led me to check out several articles on medical websites, which led to reading Amazon reviews for Quercetin. The positive feedback there was motivating, so I ordered this brand because Dr. Weil recommended it by name (as mentioned in one review). Literally within a day of going off S. and taking Q. I regained "my old self." Gone were the overwhelming feelings of doom and night frights. I haven't had allergy-induced ear swelling and my breathing is great. I'm sleeping soundly and a I feel energized. My husband said he hadn't seen me this light of spirit in years. Part of this is simply my happiness in the achievement. It always feels good to do something you've wanted to for awhile, and trying to get off Singulair had been on my list for a long time. But I don't think the physical relief I'm getting from Quercetin is the placebo effect. Sometimes the Q. dose "wears off" without me realizing it. I take two in the morning with breakfast and two with supper. If I lose track of time and am late taking my evening dose, my chest gets phlegmy, my ears fill a bit, my nose gets congested and I start coughing. My husband and I were astounded when this first happened. I said: That's the Quercetin reminding me to take it!" This has happened a few times. I can't believe my subconscious-placebo-enabler is that potent. No, I believe Q. truly works for me on some biological level. Along with Q., I'm working hard on an anti-inflammatory nutritional regimen(I'm vegan but like many will indulge in junk). I practice the Buteyko method which my sibling said got her off asthma meds she'd been on since childhood. I also plan to try accupuncture to help manage my upper respiratory issues. I take my Q. with meals, to prevent stomach upset.